We're here to help, ask away! Fill in the form below to get in touch with one of our Huron Landscaping Professionals. Serving the area from Bayfield to Southampton and Lake Huron to Kitchener. 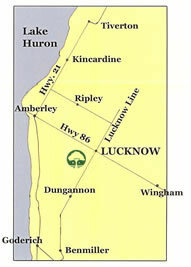 We are located 1/2 mile south of Lucknow on Lucknow Line (formerly County Road 1).